A truly classic trek circumnavigating the Annapurna Massif on an unforgettable 200 mile journey. Staying in tea houses we will enjoy amazing views of Annapurna 8091 m.
We'll be staying in the local tea houses. They usually have a good selection of hot food and drink. 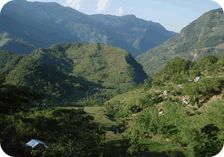 However the washing facilities are basic and you may have to share a room with another member of the trekking group. Accommodation for the duration of the trip, food, tea's and water note we don't provide bottled water in order to reduce our environmental impact. Instead we provide a water filter. What is not included flights, Beer, soft drinks and tips etc. 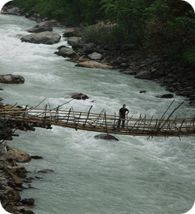 This trek is run by our in country team for groups smaller than 8. Unless on a bespoke trip where alternatives arrangements have been made. minimum group size 4 person for bespoke dates. £1,400 pp for a custom date. Possible extensions: Chitwan National Park where you can relax after your trek and enjoy an elephant ride, rafting or a scenic flight over Everest.